Thermal and microwave methodologies are used to synthesize different metal oxides nanoparticles such as magnetite (Fe3O4) and cerium oxide (CeO2). By modifying the precursors (Fe(R2diket)3 (R= Ph, tBu and CF3), Ce(acac)3 and Ce(OAc)3), and following the same synthetic route, it is possible to control the size and shape of the nanocrystals obtained. The general route is carried out in triethylene glycol (TREG) or benzyl alcohol (BnOH) media, due to its high boiling point and, which acts also as a capping ligand of the nanoparticles, stabilizing them in polar solvents. Nanoparticles have been characterized by several common physical laboratory techniques: High Resolution Transmission Electron Microscopy (HR TEM), infrared spectroscopy (IR), X-ray Powder Diffraction (XRPD), magnetometry via Superconducting Quantum Interference Device (SQUID), Nuclear Magnetic Resonance (RMN), Gas Chromatography-Mass Spectroscopy (GC-MS), X-ray Photoelectron Spectroscopy (XPS) and Thermogravimetric Analysis (TGA). With all these techniques, the final size, shape, composition, crystal structure, magnetic behaviour and capping ligand interaction have been studied, showing the high quality crystals generated. In addition, we demonstrate the high efficiency of all two one-pot methodologies optimized to synthesize different families of nanoparticles in a reproducible way. The stable colloidal solutions obtained in methanol have been used to generate new nanocomposite YBa2Cu3O7-δ (YBCO) superconducting layers by the preformed nanoparticles (ex-situ) approach. The YBCO nanocomposite layers present enhanced magnetic properties. 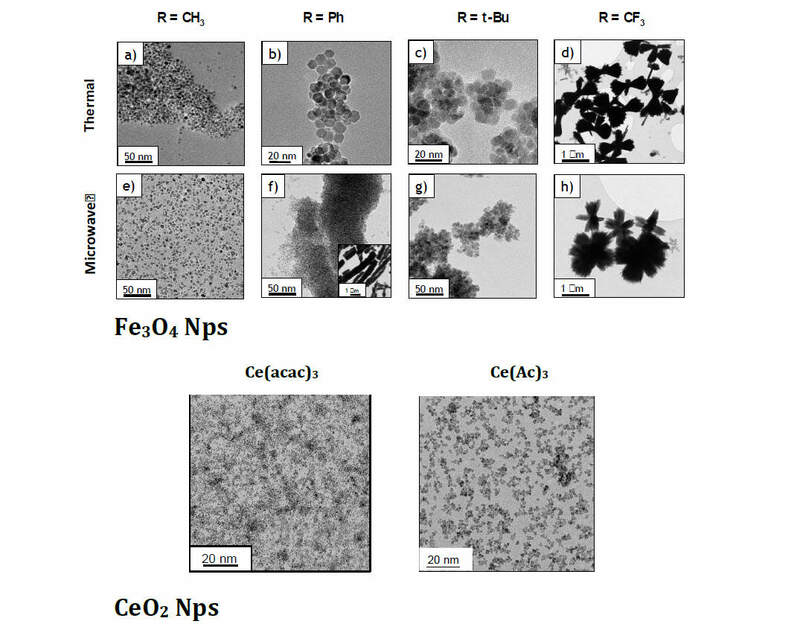 Finally, a new application as an antioxidant behaviour in human cells is tested for the case of CeO2 nanoparticles due to their specifically properties that make them really interested in this new field. 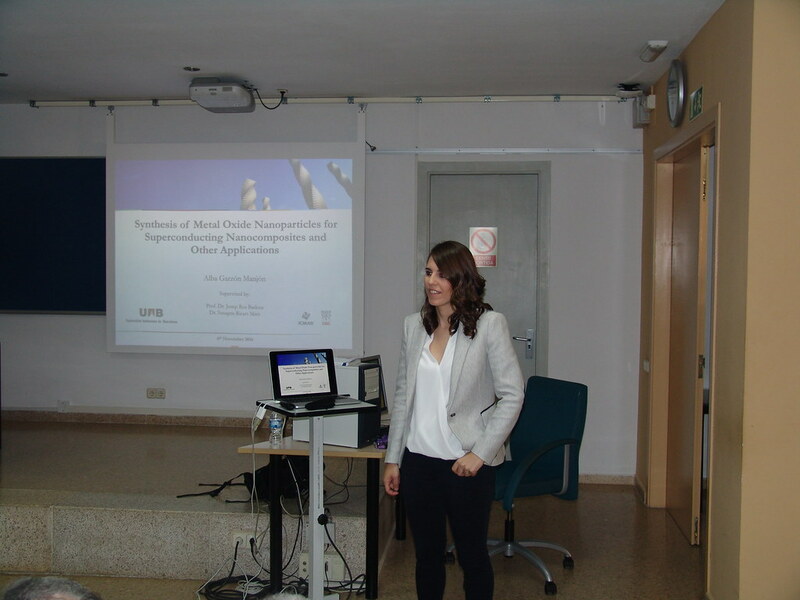 "Synthesis of Metal Oxide Nanoparticles for Superconducting Nanocomposites and Other Applications"